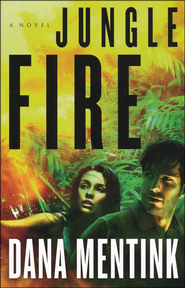 With danger around every corner, Jungle Fire by Dana Mentink, kept me glued to the edge of my seat page after page. 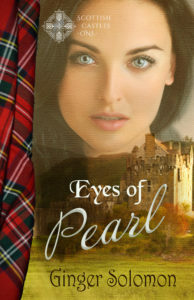 I was hooked even further with the tension-filled romance. Nina Truman is a missionary nurse, serving in a tiny Guatemalan town not far from the Mexican border. It’s a fulfilling life, tending to the village poor, a way to serve in the country from which she was adopted. The day she leaves on furlough, is the day her life falls apart. Her bus is ambushed and she must flee from forces who inexplicably wish her dead. Trapped between a ruthless drug lord and his assassins, a corrupt police chief, and colleagues with ulterior motives, her friends may prove just as deadly as her enemies as she uncovers a plot tangled deep in the roots of her own past. Nina’s only hope of survival lies in the hands of Shaw Wilder, a man who despises missionaries and the God they serve. His skill is in handling a landmine detection dog, not helping a woman he blames for the death of his sister. 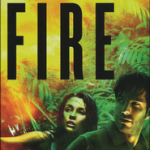 When the lethal drug kingpin El Escorpion seeks to capture Nina, and the local police are no help, Shaw has to choose: flee into the Guatemalan jungle with a naive woman who has vowed never to take a life or follow his own spiritual demons and walk away. His choice may leave them both imprisoned in a jungle from which neither will escape. Thanks a bunch, Ginger. I appreciate you taking the time to read it. God bless!